Stepping along a narrow, windy pathway formed by sandbags reinforced by cement, Anwar, 25-year-old father of two, points out areas of land around Chakmarkul refugee settlement where monsoon rains opened up cracks in hillsides packed with shelters. It was just a typical day for Hpung – his grandfather and uncles went into the forest, Hpung followed them and played while they were searching for herbs, mushrooms and vegetables. But what he did not know was that day would change his life forever. While he was playing, he found a strange object and pulled the string attached to it. All he remembers was a loud bang and the pain in his face and body. Hpung who was five years old at that time sustained severe injuries and received medical treatment for a year, but he lost his right eye. No one plans to give birth in a refugee camp, but women’s reproductive health needs don’t stop in a crisis. Last year, experts estimated a staggering 34 million women of reproductive age were displaced due to humanitarian crises worldwide. 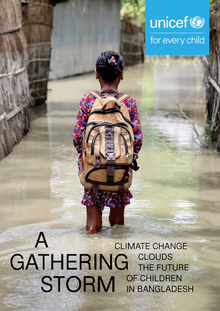 5 April 2019 – Devastating floods, cyclones and other environmental disasters linked to climate change are threatening the lives and futures of more than 19 million children in Bangladesh, UNICEF said today. 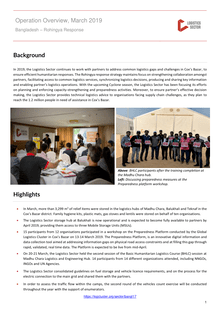 In 2019, the Logistics Sector continues to work with partners to address common logistics gaps and challenges in Cox’s Bazar, to ensure efficient humanitarian responses. 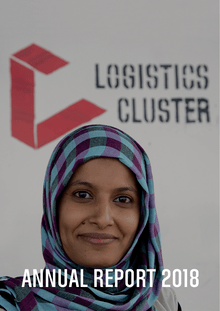 The Rohingya response strategy maintains focus on strengthening collaboration amongst partners, facilitating access to common logistics services, synchronizing logistics decisions, producing and sharing key information and enabling partner’s logistics operations. 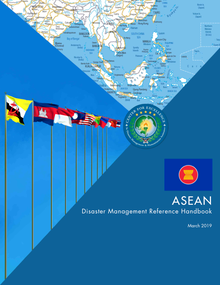 With the upcoming Cyclone season, the Logistics Sector has been focusing its efforts on planning and enforcing capacity-strengthening and preparedness activities. 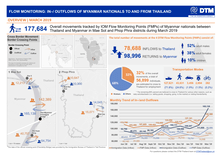 CBM and the CDD respond to the Rohingya refugee crisis, providing healthcare, mental health, psychosocial and rehabilitation support, especially for marginalized persons and those with disabilities. 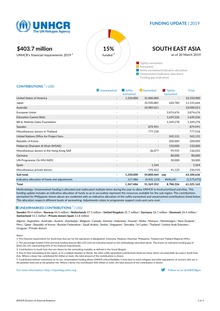 The 2019 Joint Response Plan for the Rohingya refugee response is only 16 per cent funded, as of 2 April 2019, with USD 148 million received against the overall needs of USD 920.5 million. 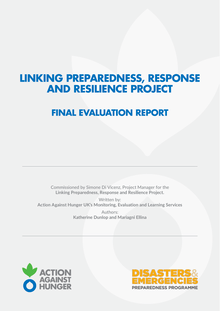 Continued donor support through early disbursement of funds, is essential to agencies better plan interventions, allocate resources and provide consistent assistance to beneficiaries. 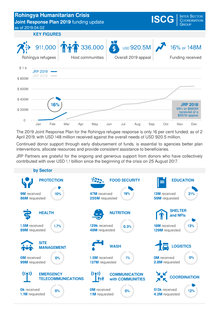 JRP Partners are grateful for the ongoing and generous support from donors who have collectively contributed with over USD 1.1 billion since the beginning of the crisis on 25 August 2017. 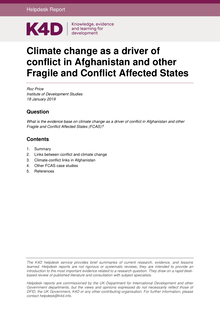 The report provides a brief account of the current state of knowledge of the links between climate change and conflict. It then presents relevant literature from Afghanistan (although this is limited), and finally examples from other countries or regions where links have been proposed (many of which can be considered fragile and conflict affected states (FCAS)). 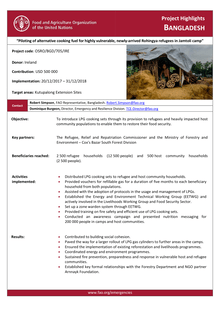 Objective: To introduce LPG cooking sets through its provision to refugees and heavily impacted host community populations to enable them to restore their food security. 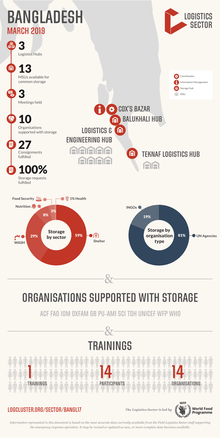 Beneficiaries reached: 2 500 refugee households (12 500 people) and 500 host community households (2 500 people). United Nations Secretary-General António Guterres today announced the appointment of Nicholas Koumjian of the United States of America as Head of the Independent Investigative Mechanism for Myanmar. Mr. Koumjian will be the first Head of the Myanmar Mechanism, which was established by the Human Rights Council on 27 September 2018, and welcomed by the General Assembly on 22 December 2018. 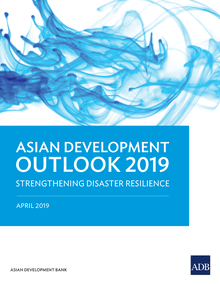 The annual Asian Development Outlook, now in its 30th year, analyzes economic performance in the past year and forecasts performance in the next 2 years for the 45 economies in Asia and the Pacifi c that make up developing Asia. 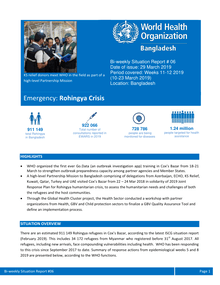 WHO organized the first ever Go.Data (an outbreak investigation app) training in Cox’s Bazar from 18-21 March to strengthen outbreak preparedness capacity among partner agencies and Member States.